Because even winter days have sunshine! Hey beautiful ladies! How is everyone doing? By this point, most of us are back on our campuses and have started the spring semester. It’s crazy to even hear the word spring, because it’s SO cold on most of our campuses. Here in Philly, we keep getting emails about how cold it’s going to be in the coming days. Though the days are anything but warm, the sun still shines! So for this week’s Fabulous Find, I’ve found a great pair of Guess sunglasses. Not only are they beautiful, but they’re on sale! Check them out below. 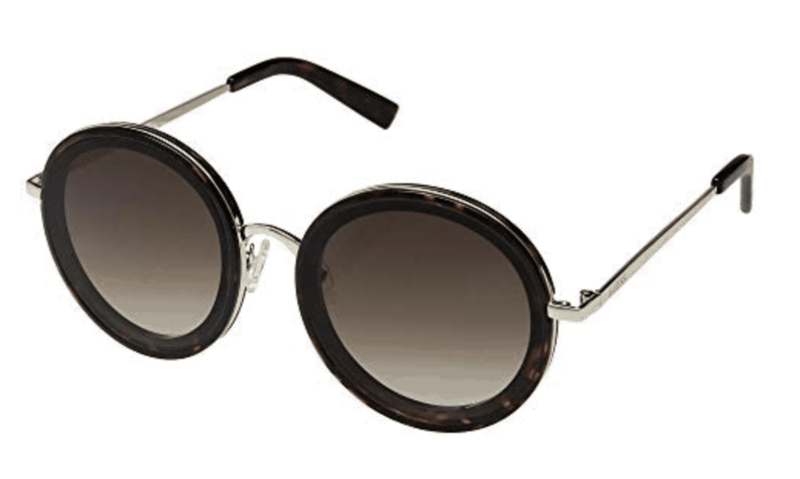 These round sunglasses are so fabulous. They match many different face types and will keep you looking great all year long. Originally priced at $49.99, they are now available at 6pm for only $24.99. They’re very elegant and you can wear them to class or to a more formal event. Wherever you’re going, these sunglasses will keep you looking AMAZING all day long. This outfit is perfect for going to class or maybe for grabbing coffee with friends during the week. It’s casual but also very ladylike and pretty! I’m a huge fan of Uniqlo leggings because they have such a flattering fit and are incredibly comfortable. They come in a variety of colors and styles so be sure to check them out! I also adore cable knit sweaters. The design is so classic and you can wear it year after year and it’ll never go out of style. This amazing piece from Charlotte Russe is one you will rock for your seasons to come. This outfit is perfect for an elegant brunch with friends or an afternoon out on the town. Skirts are definitely harder to pull off in the winter because your legs get so cold! Which is why tights are a total lifesaver and so important to have in these freezing months. They allow you to maximize your wardrobe! I’m so in love with this blouse. Pink, my favorite color, is often associated with the spring and summer. But it’s a color you can pull off all season. I also love the polka dots. They make this piece so fun and ladylike. This is the perfect outfit for a party or nice dinner out with friends. The romper is so gorgeous. The flowy sleeves will add movement to the outfit and will keep you looking fabulous. I love the silver and black colors against each other. I’ve also a big fan of the envelope clutch. It’s an understated accessory that you will wear with countless different looks year round! Rebecca Minkoff is such a classic that every college girl wants in her closet. Do you like these sunglasses? Are you a fan of Guess? What are your favorite styles of sunglasses? What have been your favorite winter trends so far? Start the convo below!